If you're like most, you crave Chick-fil-A the one day you can't have it, Sunday. But why exactly is the famous fast food place closed on Sundays? Many assume it's so that workers can go to church. However, while the chain's roots are a humble beginning from the deeply red state Atlanta, Georgia, the real reason for the day off is less about religion and more about work-life balance. In an interview with Thrillist, Chick-fil-A's senior director explains how the company's late founder, S. Truett Cathy, decided early on that workers needed time off to preserve their sanity. Cathy was once quoted as saying, "we aren't really in the chicken business, we are in the people's business." That kind of philosophy leaves millions of dollars behind every year. Even so, closing its doors one day a week hasn't stopped the chain from dominating the fast food playing field. Each Chick-fil-A location makes more money than any other fast-food chain that's open 7 days a week. 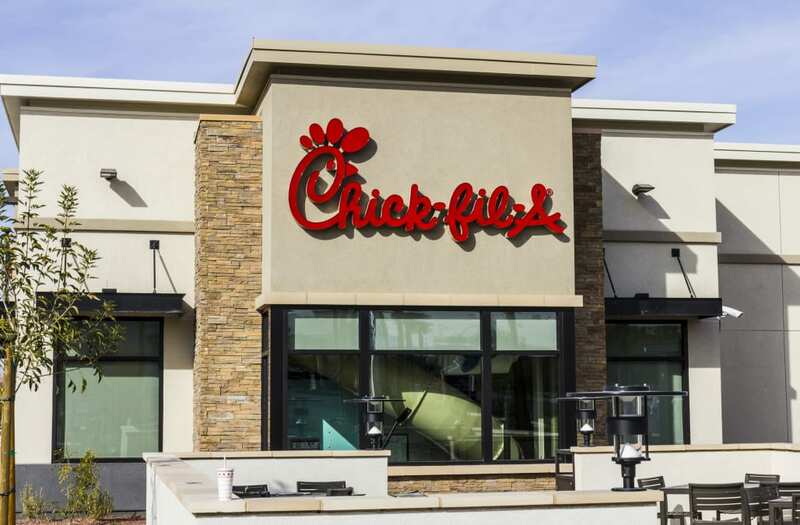 Plus, Chick-fil-A says the Sunday policy attracts the kind of employees they actually want. There are times when the no-work-on-Sunday rule is bent. On rare occasions individual locations will open their doors to make food donations. After the Orlando nightclub shooting, several Chick-fil-A locations spent Sunday giving out sandwiches to those who donated blood. If you're hoping for the day when Chick-fil-A will abandon the Sundays off rule completely, don't count on it. That's probably about as likely as getting their cow mascots to start spelling correctly.